I am going to try this for the wolves this year. We did not do anything like this for the Tigers last year, and i feel it would have really helped keep them involved. Same here. I wish I had seen this last year for the boys when they were mere little Tigers. Now to come up with multiple "tasks" for them to earn beads for. Any suggestion besides the above would be helpful. Thanks for this post. This really helps me see the value of a Den Doodle. I have toyed with the idea for a while. Now I am going to try it! Ive been doing something similar, but the thing I have trouble with is that not all my boys can afford a uniform, or a full uniform, so what would you do in this situation? The idea is to reward desired behavior. 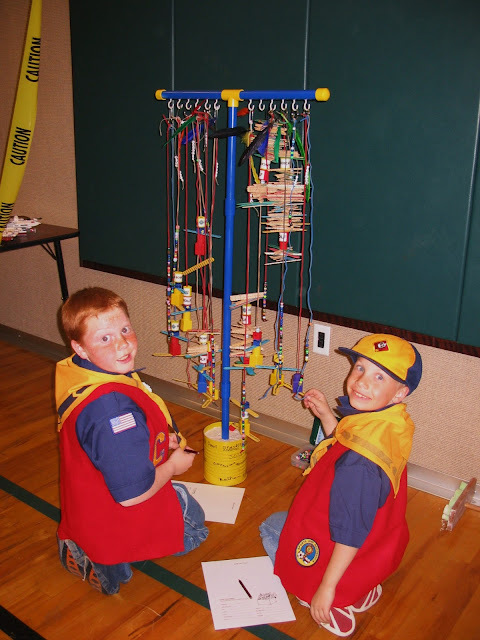 Reward those things your scouts can do that you want them to do, even if it is just to wear the shirt and neckerchief, behave well, help others, bring their book etc. I'm worried about untying and retying the knot at the bottom each time. Anyone have an idea on how to get around this? Maybe a binder clip at the top? 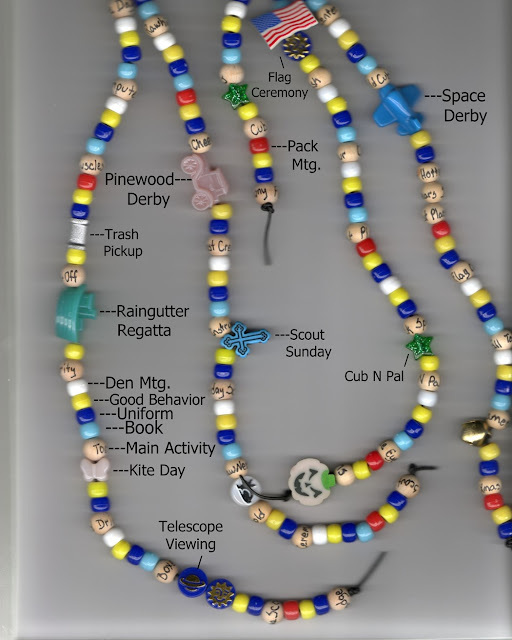 Where did you find all of your beads, particularly ones like the cars, boats, planes, flags? Great post! Thanks for being so thorough with your explanation and helping others replicate your process.